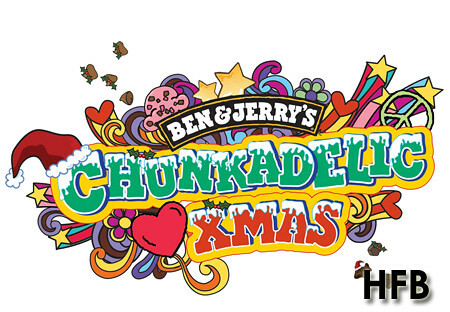 Have a Ben & Jerry’s Chunkadelic Xmas!!! 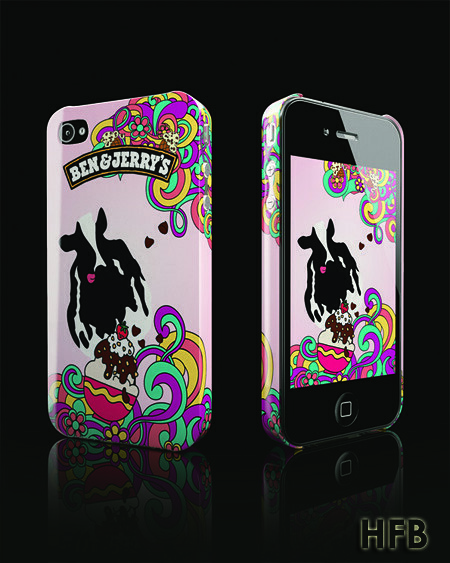 For every Ben & Jerry’s fan who has been to ChunkFest 2010, you might have come across the coveted iPhone3 covers. And if you have your eyes on those (which HFB heard is a really desirable item on eBay) you might be bouncing for joy to know that for one day only, on Dec 17th, Ben & Jerry’s is going to launch something even crazier as part of its Christmas campaign. That’s right, from noon onwards, at any scoop shop islandwide (except for Night Safari outlet which opens at 6pm); fans can recycle any 4 Ben & Jerry’s pint lids for an exclusive limited edition of iPhone 4 cover that comes in three specially designed bumper jackets inspired by Ben & Jerry’s trademarks of "Peace, Love and Ice-Cream"!!! What’s more, you will also receive two lip smackin’ scoops of your favorite ice cream to tantalise your taste buds! 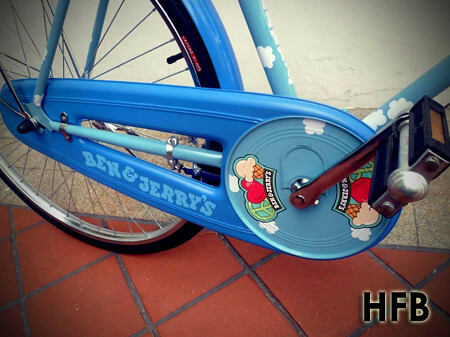 These 5,000 covers are available at 12 Ben & Jerry’s Scoop Shops islandwide, while stocks last. 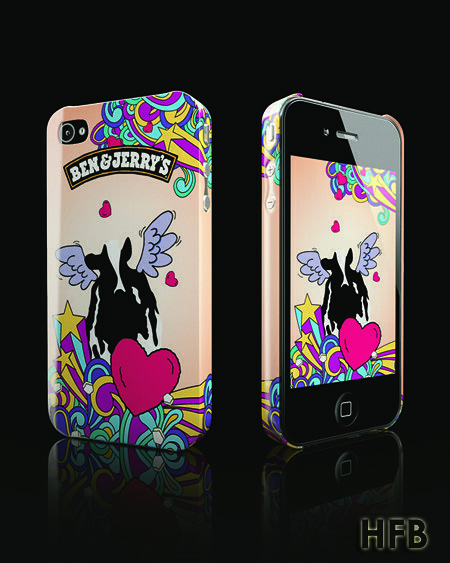 Note: Psst, because these Ben & Jerry’s iPhone 4 covers are such coveted items, each fan can redeem up to a maximum of three covers only. After that, its back to rejoin the queue! 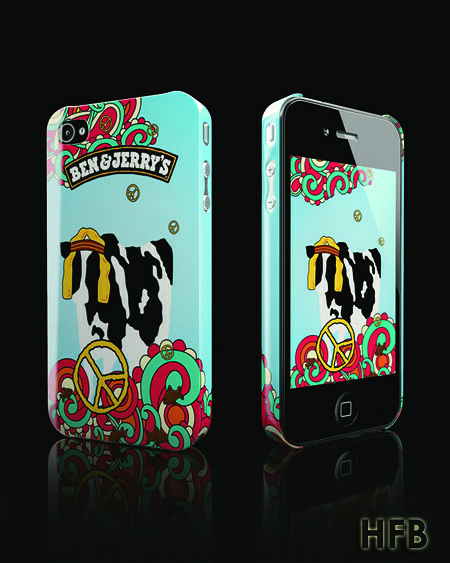 But that’s not all, if you’re truly lucky, you might be one of the 12 to receive an authentic one-off SWIRLicious Ben & Jerry’s iPhone 4 covers that even come with their own Certificate of Authenticity! 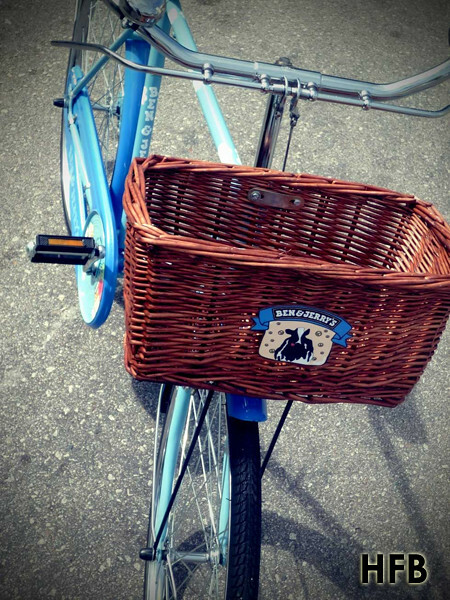 And if you are one of the 12 winners, you better make sure you dress up this Christmas Eve because...on the night before Christmas, Ben & Jerry’s will be cycling down to your house with a specially commissioned Ben & Jerry’s Retro-hip, Pigeon Bicycle that’s yours to keep! How cool is that??? But of course being a HFB reader has its own privileges. 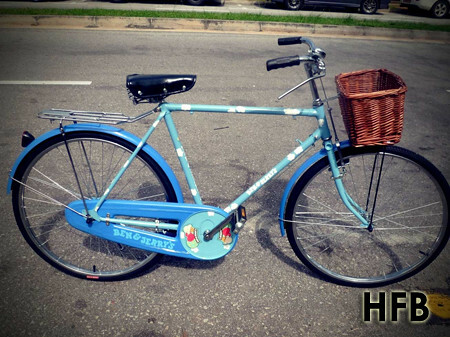 You see, HFB is one of the 15 appointed MOoolets spreading the good news this Christmas, and all you have to do is to leave a comment at the end of this entry telling me why you deserve this customised Ben & Jerry’s Bicycle. 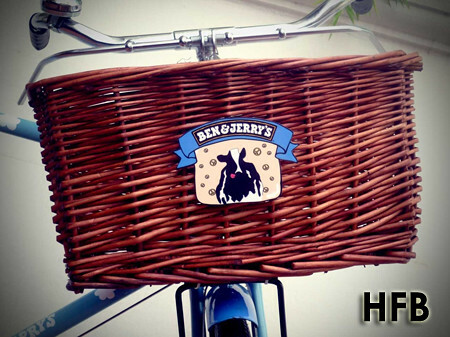 The 2 Moolets who have the MOST amount of unique comments on 31 December 2010 (2359h) will get to give away the customised Ben & Jerry’s Bicycle to one lucky reader each. Oh, and don’t forget to leave me your email address!!! 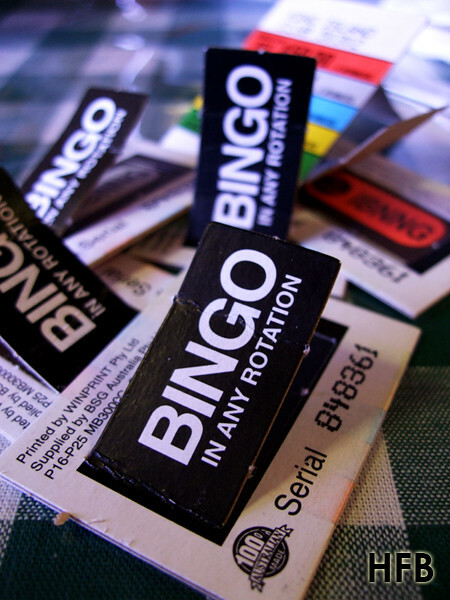 The contest period is from 13 December 2010 – 31 December 2010. Disclaimer: This contest is only open to readers residing in Singapore only. Allow him to first declare that HFB is not a big fan of cake and pastry, partially due to the fact that most of them are either too sweet or too heavy for his palate. However, he is quite an ardent fan of Japanese inspired French pastry due to the fact that they are lighter and ain’t too sweet. So it wasn’t surprised that he accepted an invitation by inSing.com to drop by the amiable Flor Patisserie for their cake sampling session. 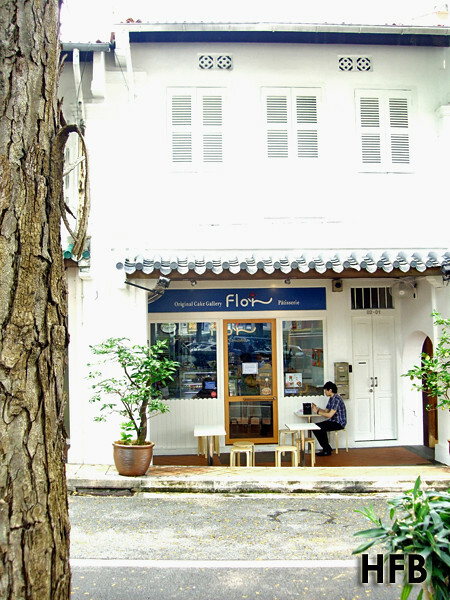 Those who come to know about Flor would came to realise that it is started by Chef Yamashita, a Japanese pastry chef that hails from Japan, and formerly of the much raved Patisserie Glacé, where he once took charge. 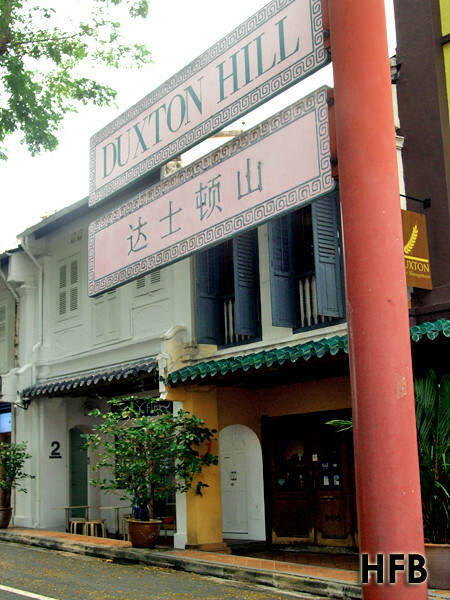 Located along the quaint shophouses of Duxton Hill, we had the opportunity to savour Flor’s delicate handcrafted cakes. We were served sampling portions of 8 different types of pastry, but some of the cakes were so tempting that they were snapped up before he had a chance to photo some of them. Thus all that was left were as followed. 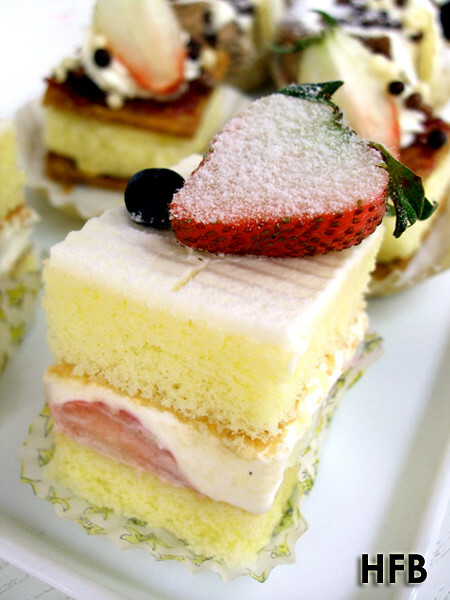 Using traditional French method of aeration which does not use any chemical leavening, Chef Yamashita creates his signature Strawberry Shortcake aka Berry Berries, which consisted of naturally soft sponge cake, fresh strawberries and cream. 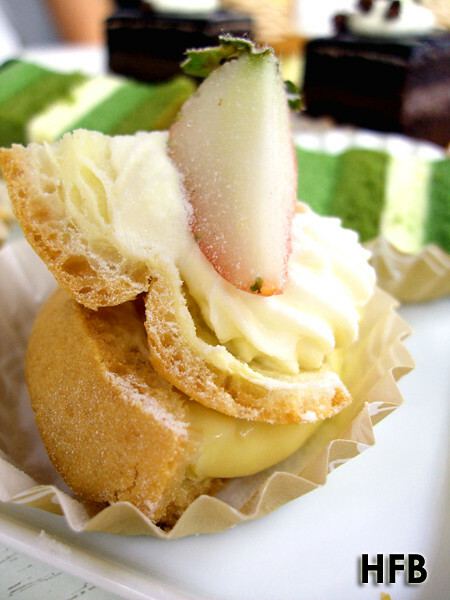 One of the three representative cakes of Japan (the other two being the Mont Blanc and Choux Cream), HFB loved the fact that it was really light and fluffy, and this is something he wouldn’t mind eating repeatedly, or at least that's what his brain choose to believe. While we didn’t get to sample the mont blanc, at least we did get to try out the Waguri Millefeuille, where similar delicate strands of French Chestnut Cream, topped with sweetened Japanese chestnuts, is carefully piped over a sandwich of crisp, flaky puff pastry and pastry cream. The puff pastry provided a nice differentiating texture which HFB thoroughly enjoyed. The Berry Choux is created using Flor's special pastry cream, fresh cream and berries. The tricky part about choux pastry is its sensitivity to moisture in the air. Too much moisture and it will go soft. Too dry and it wouldn't have the elasticity to stretch and grow in the oven. And as we would have it, Chef Yamashita managed to perfect his recipe to suit our island’s weather. It had a nice balance in terms of elasticity and the cream sure didn’t feel heavy for his palate. 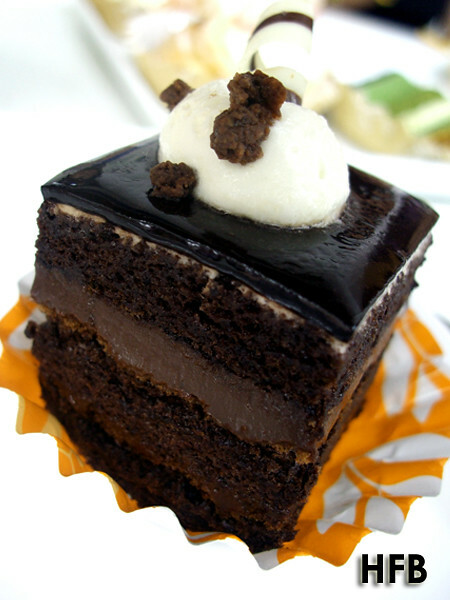 The Classic Chocolate, is essentially a rich 58% chocolate cake, that is dense and moist in the center, and topped with a dollop of thick fresh cream and chocolate pearls. What HFB liked about this cake was the rich chocolatey taste that doesn’t put one off despite mouthfuls. But what he would have preferred was for the chocolate pearls to be within the cake rather than on top to give it an added texture for every bite. 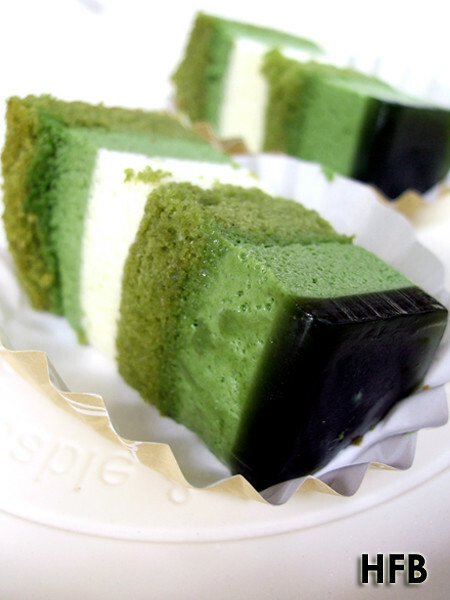 The Vert, is fundamentally a green tea cake made up of a layer of green tea sponge base, followed by the harmony of vanilla cream and fragrant green tea mousse, covered by a thin layer of cold, green tea jelly. 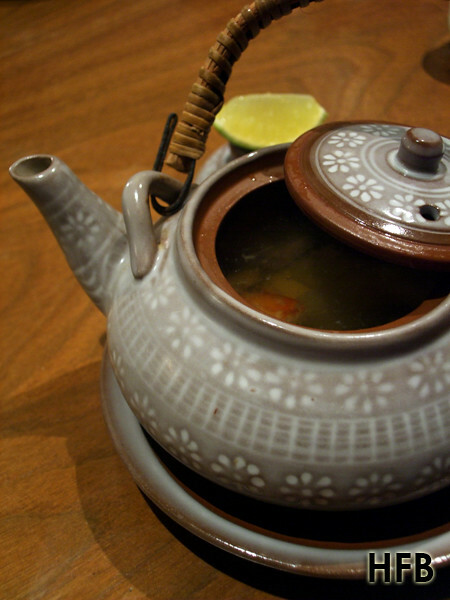 Flor uses real green tea powder for its clear and pristine flavour and aroma, and HFB thinks only a real matcha lover can truly appreciate the tint of bitterness from it. Disclaimer: No ratings would be given, as this is an invited taste test. 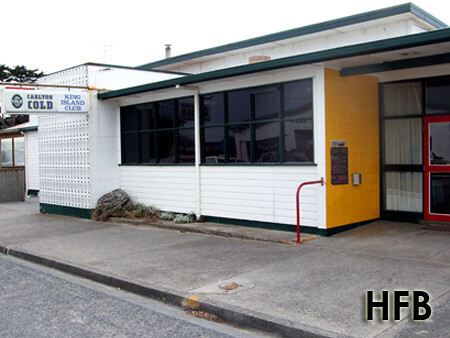 HFB would also like to take this opportunity to thank inSing.com and Flor Patisserie for their hospitality. Most people in our island probably came to know about Wendy’s at Liat Towers for the wrong reason. And HFB wouldn’t deny that it was such that pique his curiosity to find out about them for the right reason – their food offering that is. 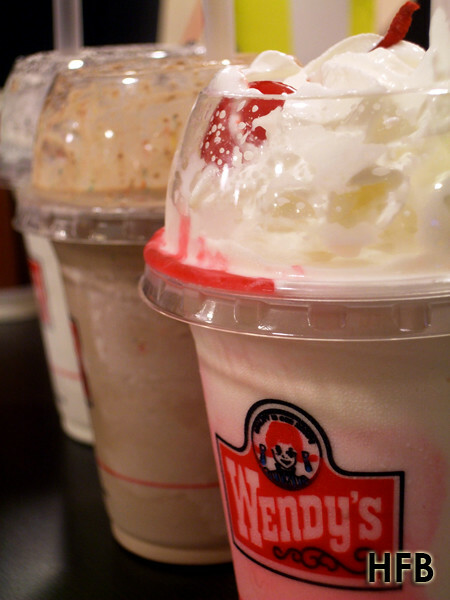 The Frosty Float ($2.60) was promptly served and from the first sip it tasted ordinary, but HFB was pleasantly surprised by how smooth Wendy’s signature frozen dairy dessert call “Frosty” was by his second slurp. 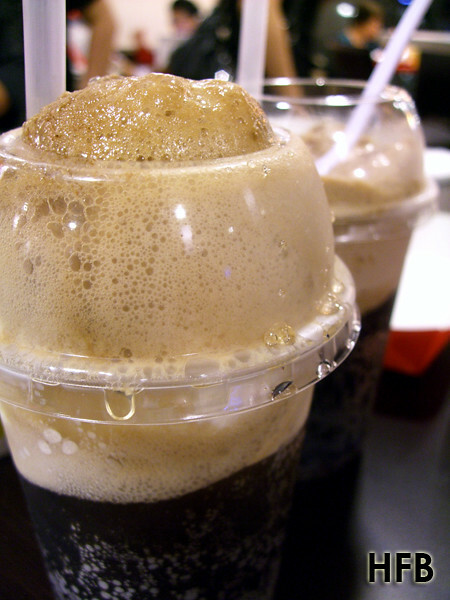 One can also enjoy Frosty on its own ($1.50 for small, $2.40 for medium). 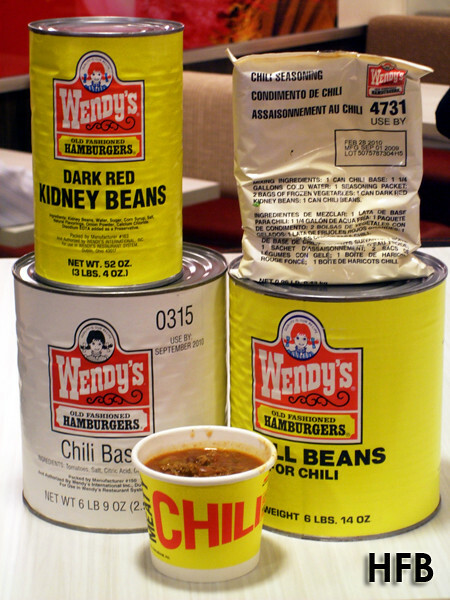 Wendy’s Chili ($2.70), made from Minced Beef, Kidney Beans, and Mixed Vegetables, to my surprise, was light on the palate – it was told that Wendy’s boil the meat to remove as much fats as possible before adding the rest of the ingredients. This was definitely a healthy choice, although HFB thought the removal of fats took away some flavours along with it. The burgers were next and HFB sampled the ½ Pound Double with Cheese ($8.25 for Combo). 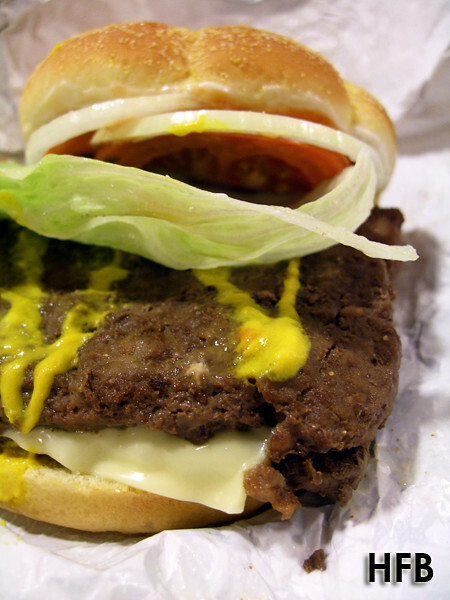 At one glance, one would discover that Wendy’s Burgers came with square burger patties – “they don’t cut corners”, that was what HFB was told. It was when HFB took his first bite at the burger that he had a HUGE dilemma – should he finish the ½ pounder, or save space for the rest of the menu? 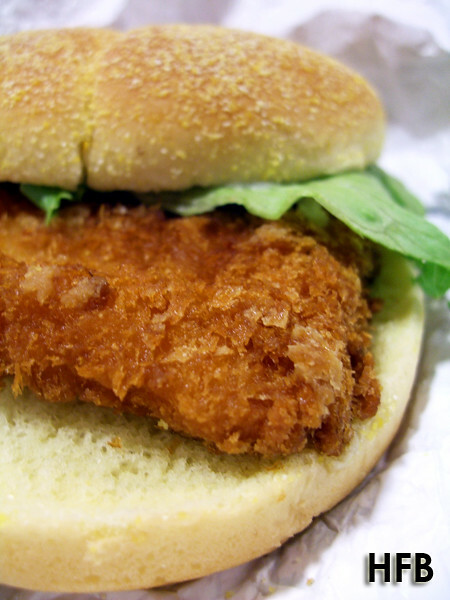 One might wish to know that Wendy’s uses Kaiser Buns instead of soft buns that go amazingly well with the beef patties. The patties were robust and provided a good bite, although an added char-grilled would have sealed the deal. The Shrimp Supreme ($6.70 for Combo) was a pleasant find. Not something HFB would normally associate with burgers, the crusted shrimp was surprisingly full of flavours. However, HFB thought a much thicker patty would do it justice. 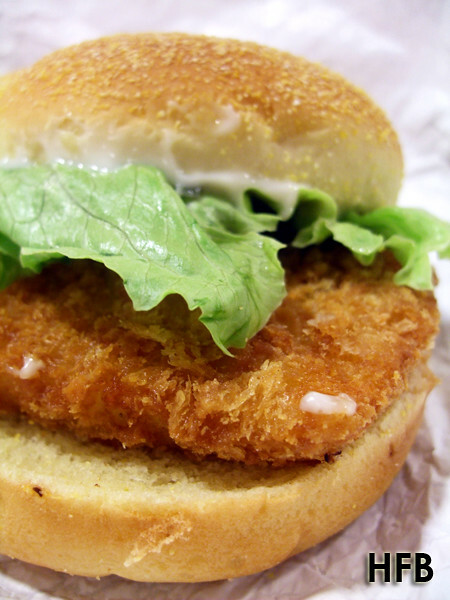 The Premium Fish Fillet ($6.65 for Combo) though was disappointing – it seriously lacked flavour and seasoning and its patty – a tad thin for a good bite. 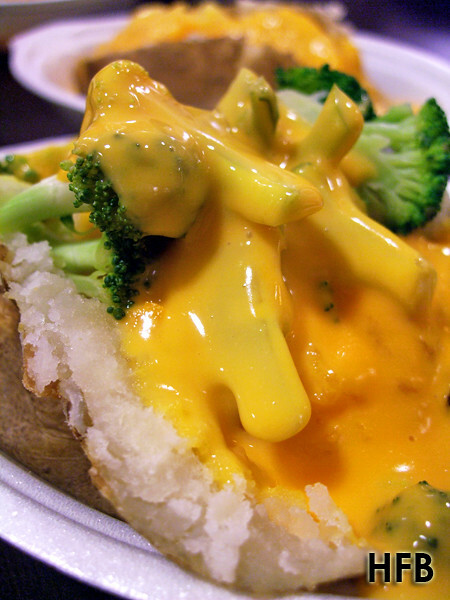 HFB though enjoyed the refreshing fact that Wendy’s offered Baked Potatoes ($3.10 - $3.50) with a variety of toppings to choose from, such as Cheese & Cheese, Broccoli & Cheese, and Sour Cream & Chives. Perhaps HFB was slightly filled at that point, but he actually enjoyed the latter the best. For a fast food restaurant to offer a decent salad is rare, but to offer one that tasted appetising – now that’s a good thing! 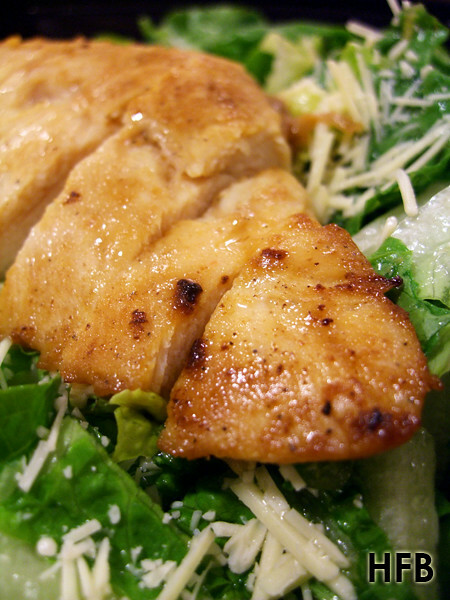 HFB thought the Caesar Salad with Grilled Chicken ($6.50) was really fresh. A mixed between Romaine and Iceberg Lettuce, they were crunchily yummy! Not to mention the grilled chicken was really tender and luscious. To nitpick however, HFB did found the dressing a little lacking – the Anchovies, Capers and Garlic weren’t evident enough to pack a punch. 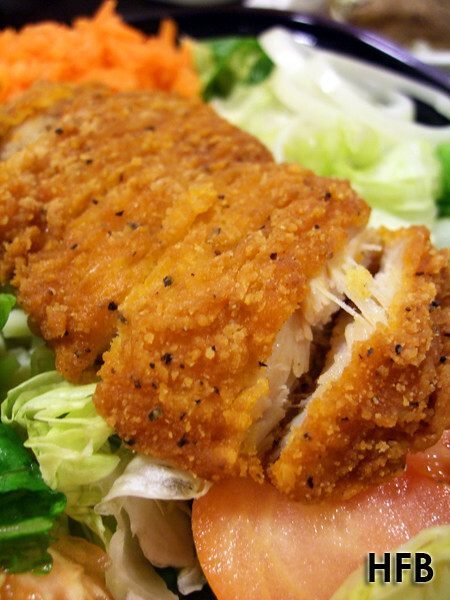 Alternatively, one can opt for Wendy’s Garden Salad ($4.70) and an added selection of their Spicy Chicken as topping. Nothing was noteworthy here though, plus HFB did find the chicken a tad too fiery spiced. Wendy’s Nuggets ($6.60 for 6 pcs Combo) came with a nice chunky bite, while the fries surprisingly retained its crustiness despite being non-oily. 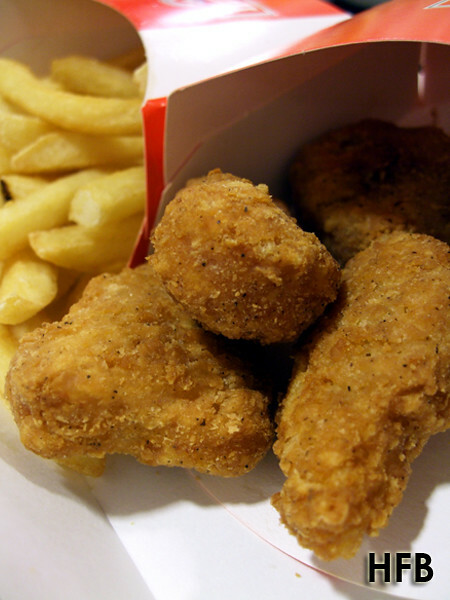 The Fried Chicken ($7.50 for Combo) came with a choice of regular or spicy. 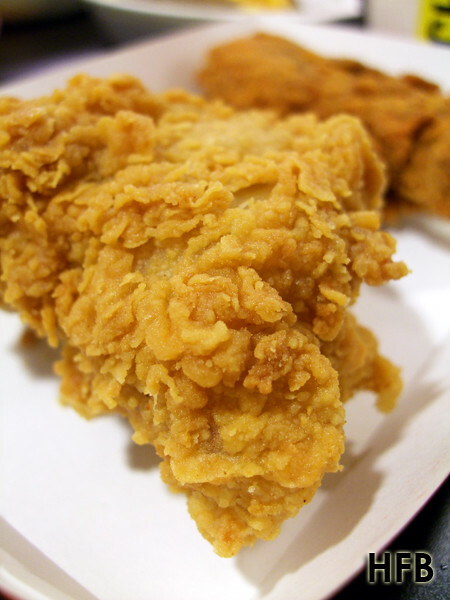 Thumbs-up for the fact that each bite into the chicken didn’t leave a trail of grease around HFB’s mouth despite its crispy crust! HFB liked the Twisted Frosty with Oreo the best – the rest being Twisted Frosty with M&Ms and Strawberry Frosty Shake ($2.80 each). 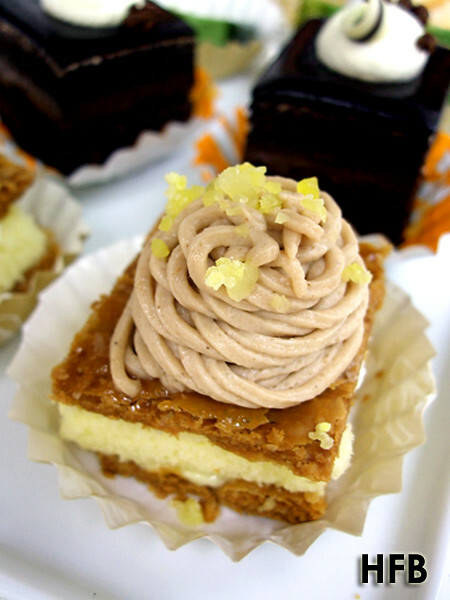 Those with a sweet tooth would welcome the sugar-rush from their desserts! P/S: If one is a coffee drinker, one would be in for a nice surprise of their coffee at $2.10 each. Hint: Wendy's franchise is taken over by the Kopitiam Group. Disclaimer: No ratings would be given, as this is an invited taste test. HFB would also like to take this opportunity to thank Julie, Fiona, and Wendy's for their hospitality. With a new Head Chef, Chef Tetsuya Yoshida, a Tokyo native, at helm at Tetsu Japanese Restaurant, features a new special Japanese gourmet mushroom menu for the month of September. With September being the mushroom season in Japan, Tetsu has gathered mushrooms from the different prefectures of Japan to Singapore. 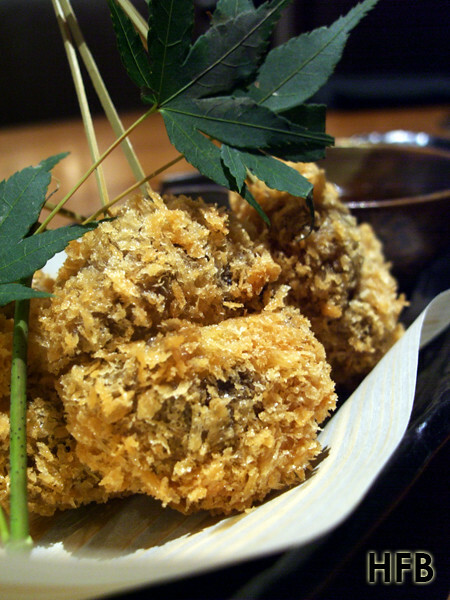 To add icing to cake, these rare mushrooms have been paired with sake. 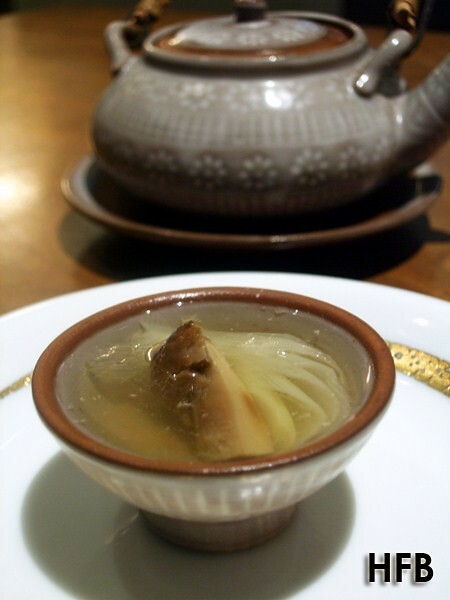 The evening commences with Matsutake Dobin-mushi, or Pine Mushroom Teapot Soup ($15.80) paired with Hakkaisan Junmai Ginjou ($39.00 per botl / $6.50 per glass). 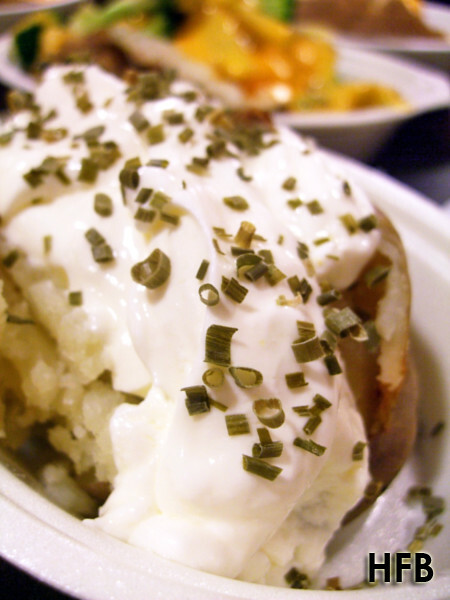 A very refreshing dish that is light on the palate, however HFB did find the ingredients a little lacking. 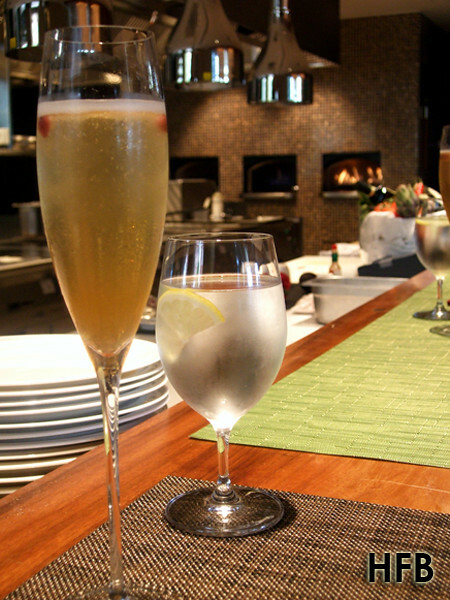 The sake complemented with a light body that harmonies the dish. 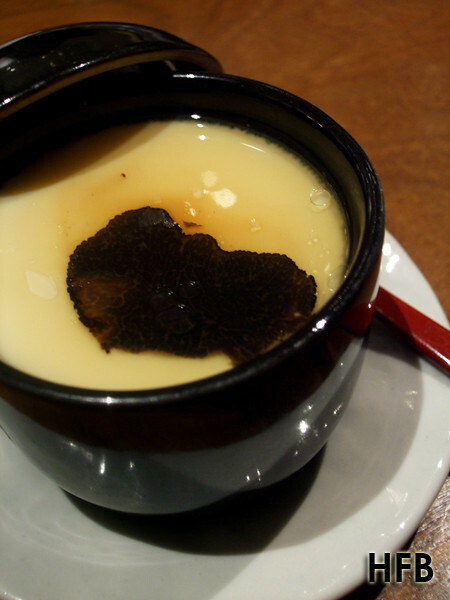 The Kuro Toryufu Chawanmushi, or Black Truffle Chawanmushi ($7.80) is similarly paired with Hakkaisan Junmai Ginjou. Although not a new combination to avant-garde Japanese culinary scene, the dish is still greatly adored by many, HFB inclusive. Simplicity is the key to bring out the best in truffles (which by the way was imported from Europe and NOT Japan), and chawanmushi is one such perfect medium to showcase its aroma. With a drip of truffle oil to intensify its flavours, this dish is a winner. 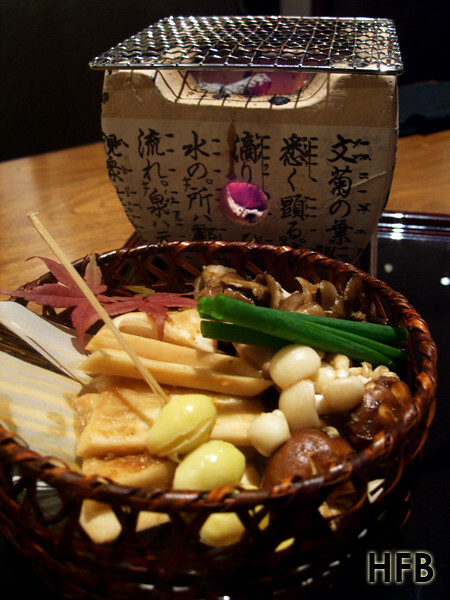 Next up, HFB was introduced to the Abalone Mushroom and Eringi with Mentaiko Mayonnaise Sauce ($19.50) paired with Bunraku Yume Ginjou Namachozoushu ($42.00 per botl / $5.50 per glass). HFB really loved the texture of the eringi mushroom, the largest species in the oyster mushroom genus. 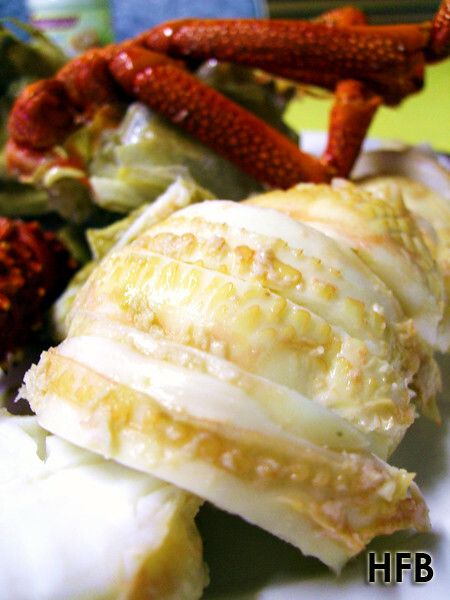 Coupled with the mentaiko sauce, the saltiness heightens the dish to a different level. The light body, fruity aftertaste of the sake then provided a perfect finishing. 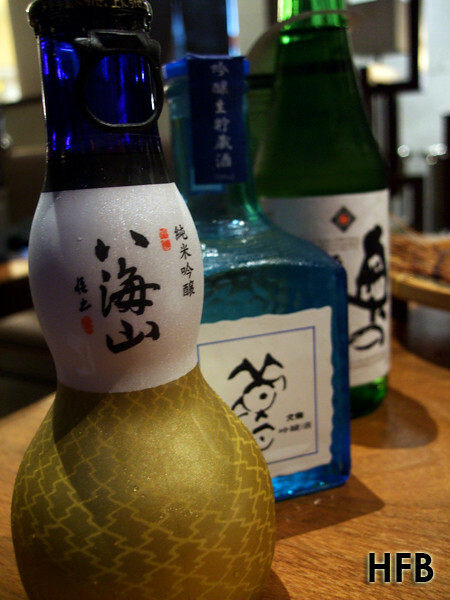 This was by the way HFB’s favourite sake that night. 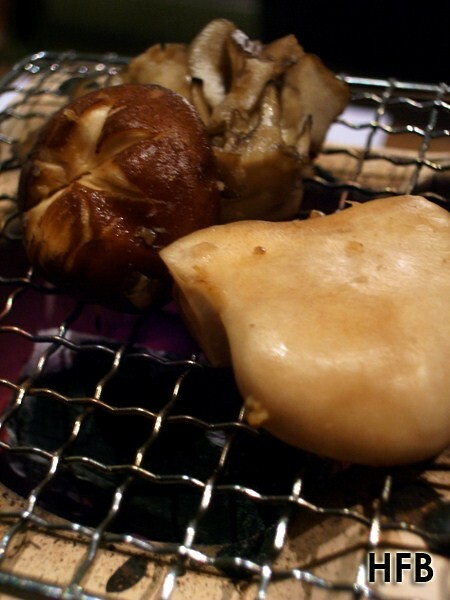 Subsequently, the Charcoal Grill Assorted Mushroom (Abalone, Eringi, Maitake, Bunapi) ($18.00) paired with Bunraku Yume Ginjou Namachozoushu was served. HFB loved Japanese grill, but would usually find the result of grilled mushrooms to be dry and disappointing. 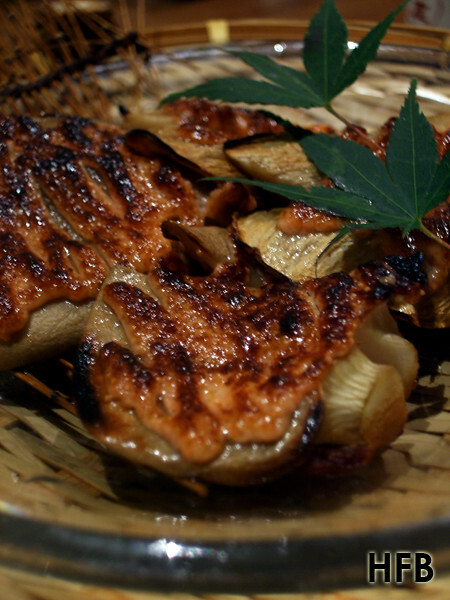 While he would love for the sauce to be separate rather than spread over the mushrooms, the result was that it gave the mushrooms moisture even when grilled. Aesthetically, the Shiitake Nikuzume Kushi-age, or Shiitake Mushrooms stuffed with Minced Pork and Prawns, with Japanese Sweet Sour Sauce ($9.00) also paired with Bunraku Yume Ginjou Namachozoushu looks really lovely. Taste wise, the dish wasn’t terrible, in fact it was tasty! But HFB did felt strongly let down by the final result - the mushroom was simply overwhelmed by the meat and prawns in both taste and texture – definitely not a dish he would feature to showcase Shiitake mushrooms. 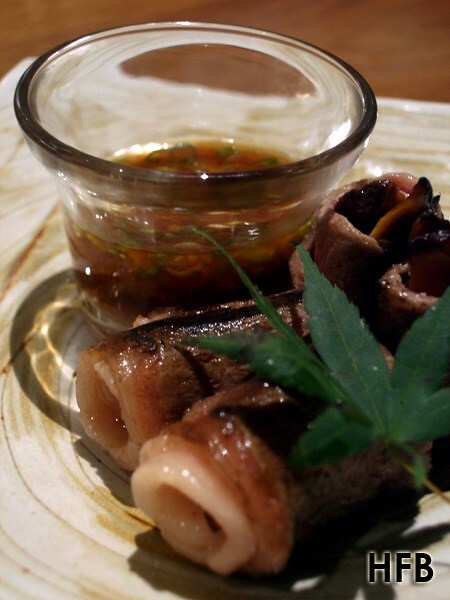 Going by the name of Matsutake with Wagyu Tataki ($28.50) paired with Oku no Matsu Junmai ($42.00 per botl / $5.50 per glass), mellow full-bodied sake that goes well with stronger dishes, expectations were heighten. 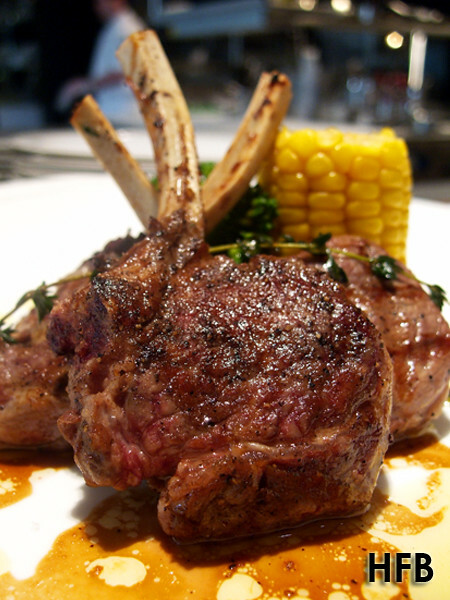 Probably a dish that most meat lover would have no complains about, one cannot really go wrong with this dish. While a thick slice of succulent Australian marbled beef wrapped around a prized mushroom, HFB thought the maid-of-honour once again stole the limelight from the bride at the altar. The aromatic earthiness of the mushroom was distinctly missing from the dish. The finale was that of Truffle Ice Cream ($5.80), and cream is another great complement to truffles. 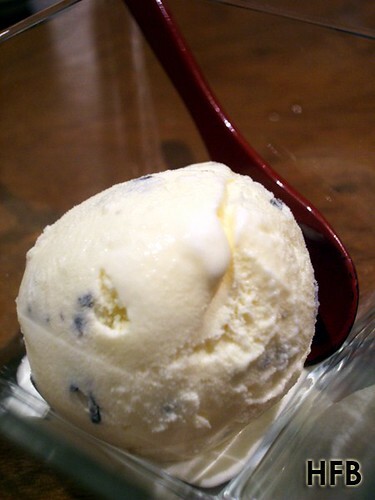 Not forgetting that real vanilla beans were used in the production of ice cream, HFB thought a little indulgence was nice conclusion for a relatively healthy meal. 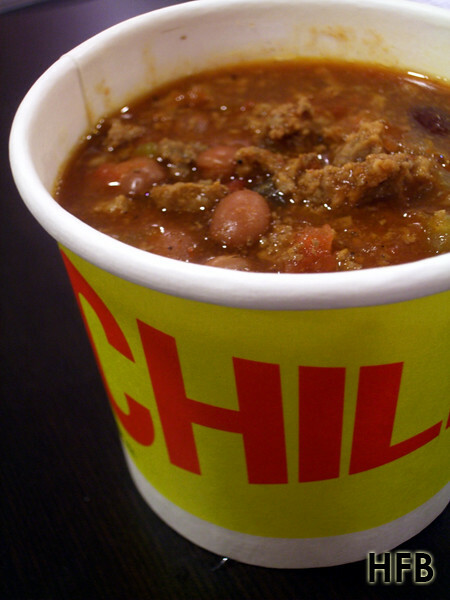 Disclaimer: No ratings would be given, as this is an invited taste test. HFB would also like to take this opportunity to thank Pris, Racheal, and Tetsu Japanese Restaurant for their hospitality. 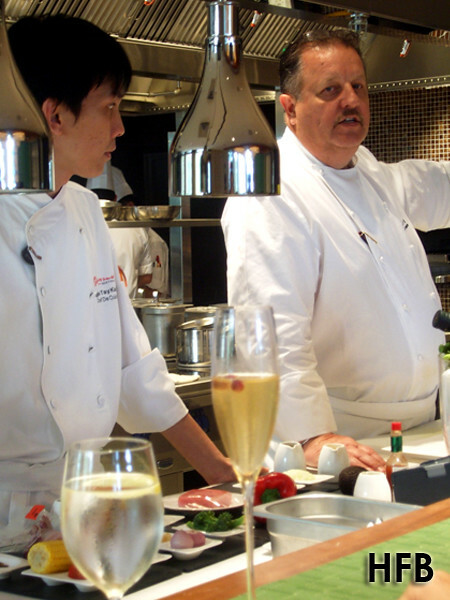 Celebrity Chef Scott Webster recently dropped by Singapore to his newly opened Osia at Resorts World Sentosa, and HFB was honoured to be invited to attend his Master Class. Known for his forefront of Australian food marketing – he has an unmatched reputation for creating gastronomic works of art which endorse and highlight the freshness and quality of Australian produce, including beef, lamb, seafood and even indigenous herbs and spices like Lemon Myrtle (which HFB have absolutely no idea how it looks or taste like). Along with Chef de Cuisine Douglas Tay, formerly Sous Chef at Equinox in Swissotel the Stamford for 10 years, Chef Webster’s focus is very much on clean flavours – allowing the fresh produces to speak for themselves. 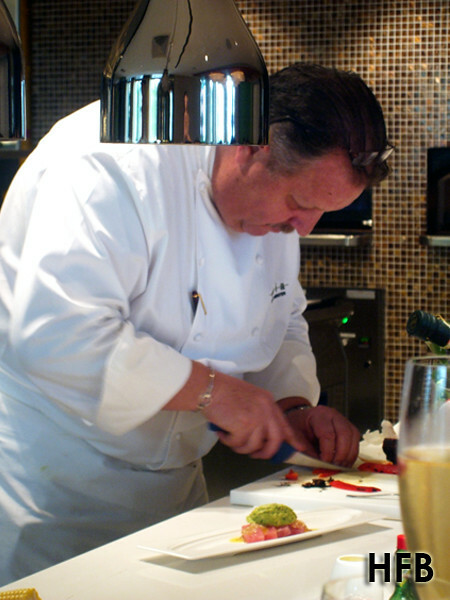 This was especially so in the first dish that was taught that afternoon – Blue Fin Tuna Ceviche. 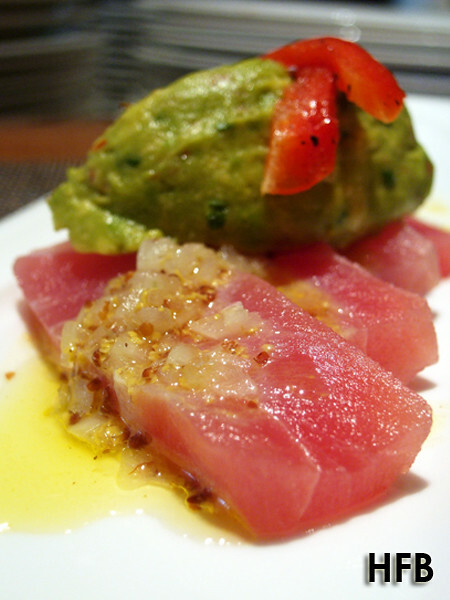 All that was needed was a sashimi grade Blue Fin Tuna, Onion Mustard Seed Dressing and a Spiced Avocado Guacamole. The final result was a clean, fresh and vibrant coloured dish that was pleasing to both the eyes and the palate. 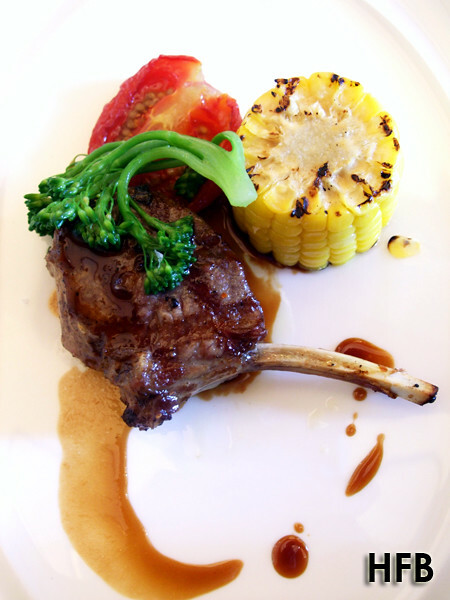 And sticking to his confidence of Australia produce, Chef Webster swiftly proceeded to show us the Grilled Mulwarra Lamb Rack Chop that was paired with Corn Cob and Roma Tomato Confit. It was a really simple dish that spoke volume. 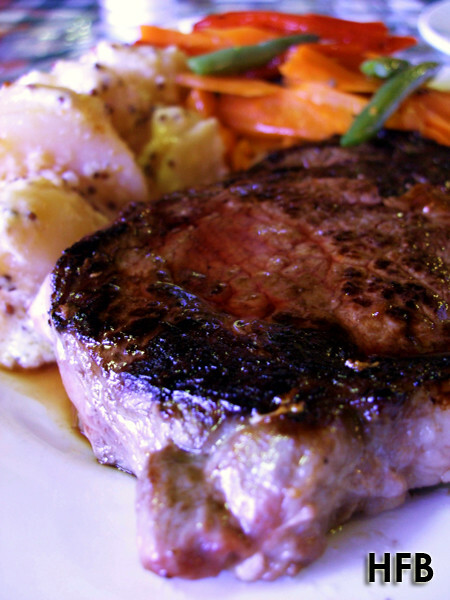 Cooked to a perfect medium, the meat was flavourful and tender without the gamey aftertaste in sight. This was probably one of the best lamb dishes HFB ever sampled. 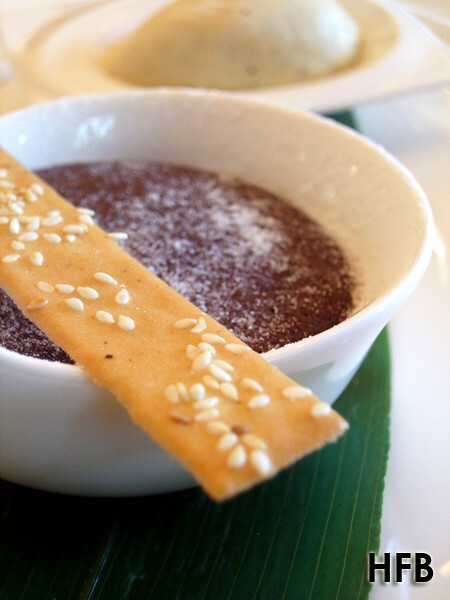 The last dish was the introduction of Osia’s signatured dessert, Valrhona Hot Chocolate Soup with Black Peppered Ice Cream and Seasame Crisp. 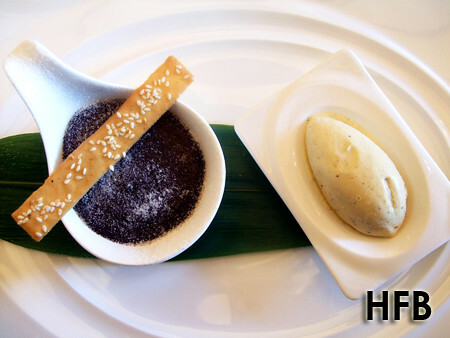 It was told to us that one could taste the ice cream and the chocolate soup on its own, or together, and have three unique experiences – indeed it was so when HFB scrutinised it – he urge you to try it if you had your doubts! The ingredients were really simple and methods pretty easy, so much so that a dessert novice like HFB was able to try it once in the kitchen and succeeded. HFB really enjoyed his time during the 2.5 hours that ended with a sampling session and a chance to chat with Chef Webster himself, and although a pity that the class wasn’t hands-on, he really looked forward to future Master Class by Resorts World Sentosa’s Celebrity Chefs. Disclaimer: I would also like to take this opportunity to thank Tania Heng, Janelle Chan, Osia and Resorts World Sentosa for their hospitality. The last stop in HFB’s Australia tour brought him to Tasmania, a state known for its large and relatively unspoiled natural environment. 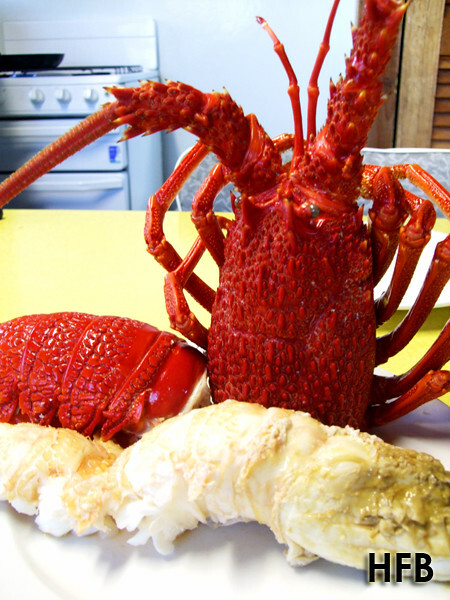 And located off the north-western tip of the main island lies King Island, known for its ideal conditions for premium beef production (certified by the Meat Standards Australia (MSA) grading system), seafood – Rock Lobster (or more commonly called Crayfish) and Sea Elephant Oysters, and cheese – courtesy of King Island Dairy, which sourced their milk from King Island dairy farmers whose cows are famous for their unique quality of milk. 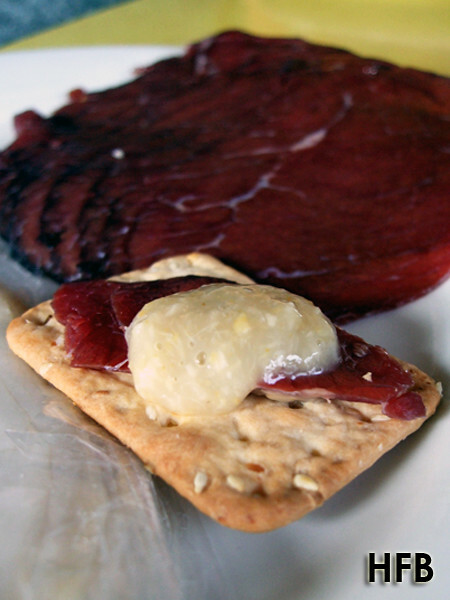 The first thing we did when we reached the city centre was to head to the local supermarket for our supplies – and one of the items we picked up was the Air-dried Beef. Along with some biscuits and horseradish sauce as accompaniments, one could really taste the freshness and intense flavour produced by the meat. It might sound far-fetched if HFB claimed that that was the best piece of air-dried beef he has consumed, but he was dead right – he haven’t came across any that was better thus far. Other than the beef, cheeses from King Island Dairy were also readily available at the supermarket. 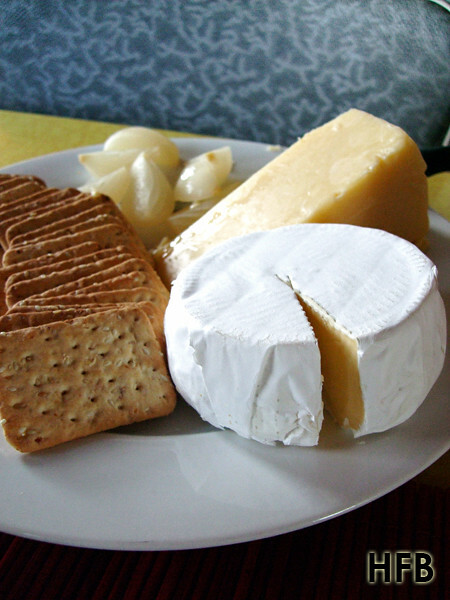 HFB really enjoyed the Seal Bay Triple Cream Brie that was made with full fat milk and enriched with additional cream. Covered in a bloom of white mould, it really enhanced the magnificent flavour giving it a creamy golden centre and a pleasingly rich and buttery flavour. It was also of good fortune that we won a tidy sum of cash betting on horse racing over at one of the local pubs nearby that we head back to purchase a cooked crayfish off the shelf. Priced at AUD66 per kg, it wasn’t exactly cheap, but the goodness within kinda compensate for it – the meat was firm and sweetness exuded, and besides, it was ample for the 3 of us to enjoy! 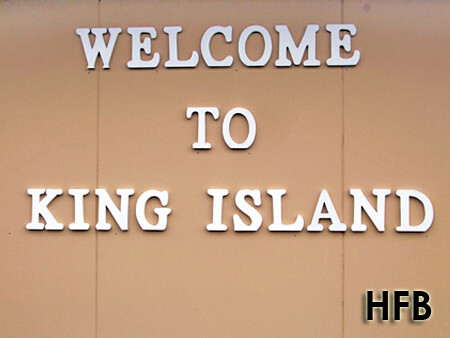 For an island with a small population, there weren’t many choices when it came to restaurant dining. 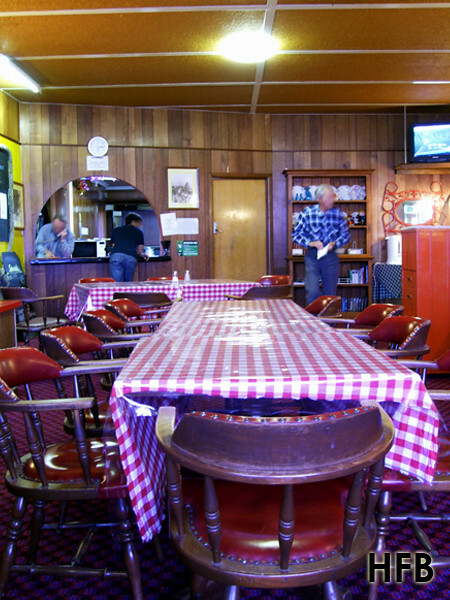 However, we were advised that the King Island Club was one of the better venues to enjoy a nice piece of King Island Beef Steak. A very retro bistro and bar greeted us when we stepped in – checkered table cloths, wooden furnishings, along with many timeless and classic décors. 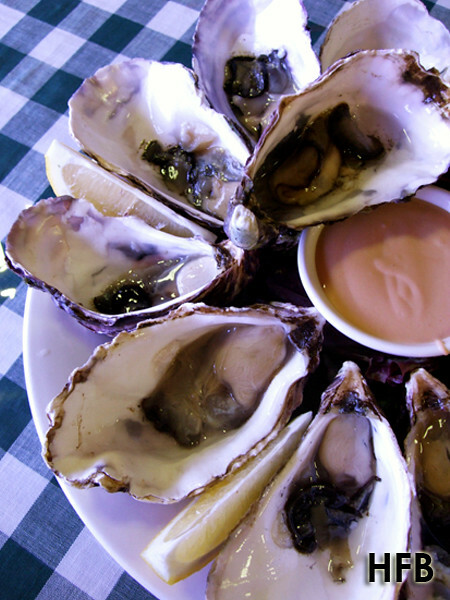 It happened to be a Tuesday that evening, and that means it was BINGO night – a pity we didn’t win anything, however we did struck gold with their dozen natural Oysters (AUD$22). 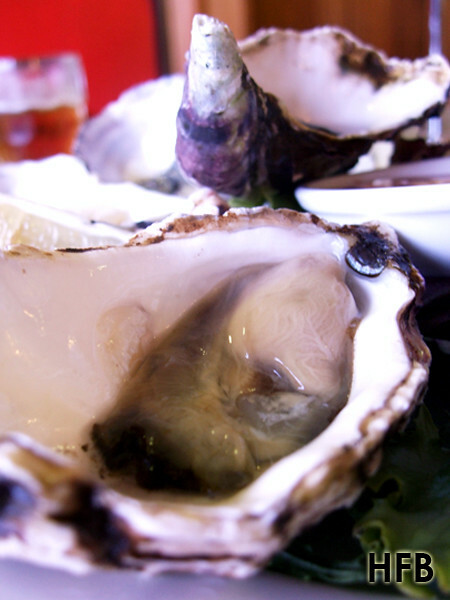 Fresh, plump, with a hint of ‘flavour from the sea’, one couldn’t really go wrong with the oysters that lived in such ideal conditions. 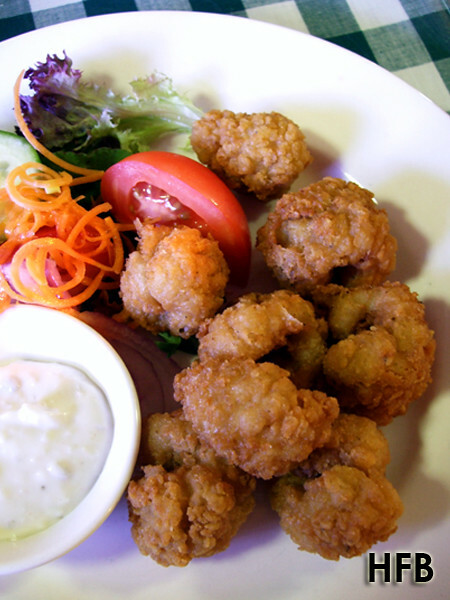 The Salt and Pepper Squid (AUD$11) was brilliantly executed – well seasoned and nicely coated with flour, it was the perfect appetiser that really opened up our palates. The Porterhouse Steak (AUD$25) came with a nice thickness and was nicely seared – the meat was cooked to the right doneness, and boy was it luscious! 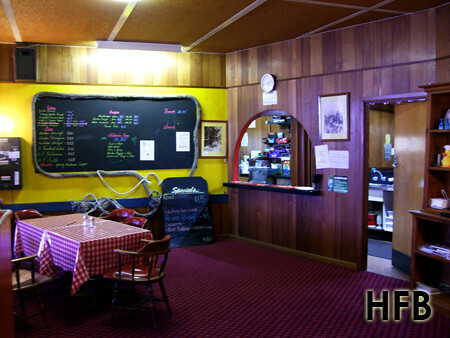 HFB took delight in the lovely beefiness flavour of the steak – a sign of King Island’s quality meat produce. 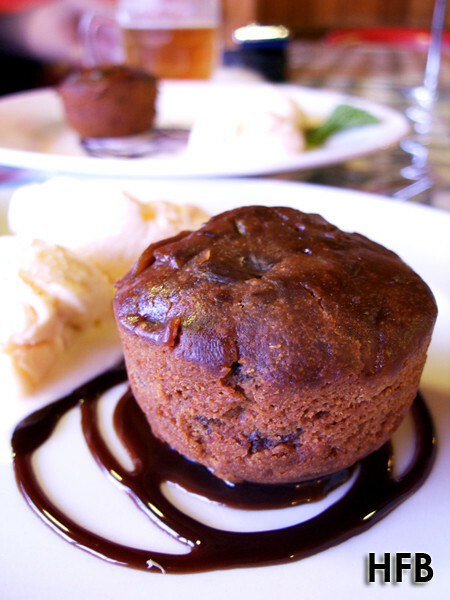 The lovely dinner was rounded off with the only dessert offering – the Plum Pudding (AUD$6). Flavourful but perhaps a tad sweet, it was almost a perfect ending.